Our friends at Verizon notified us over the weekend that the Galaxy Tab 10.1 with 4G LTE was launching this Thursday, so to see the Motorola XOOM (without 4G) dropping in price to $499 (on-contract) just days before is not a surprise. 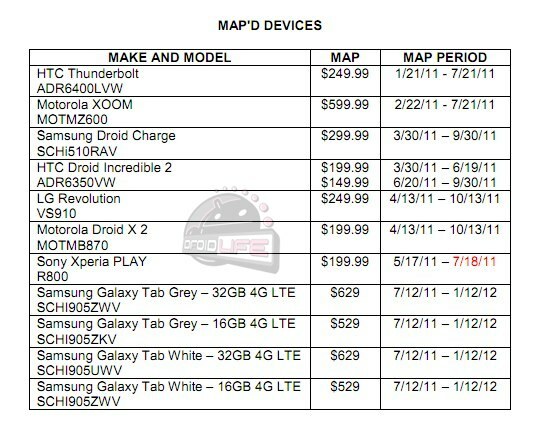 In fact, we just looked back at one of our MAP (minimum advertised price) lists which features the new GTab, and noticed that the XOOM’s pricing period ended on 7/21. I guess we could have predicted that this would happen weeks ago. Sorry! So, does this price drop signify anything special other than the GTab launching? It could. 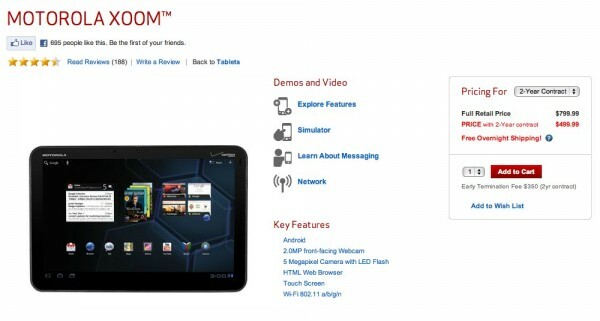 We first reported on a new XOOM with 4G LTE built-in that had received MAP, but with no other details since then, it is hard to say when we could potentially see it. If that device is still in the plans though, this could be Verizon’s attempt to help move the dusty boxes of XOOMs off of their back shelf to make room for the new version. Oh, and you’ll notice that the Thunderbolt’s MAP period has also ended – should we be expecting a price cut for it as well? I certainly would hope so with the DROID Bionic 4 or 5 weeks away.